Since his departure from the Trump presidential campaign in August of 2016, Paul Manafort and his professional dealings with Russians and Ukrainians have emerged as central and enduring tenets of the special counsel’s investigation. Mueller and his prosecutors have leveled three superseding indictments against Manafort since October of 2017, bringing charges of witness tampering, lying to investigators, lobbying violations, and a slew of financial crimes against the longtime GOP insider. While his legal travails continue, Manafort’s guilt in many of those crimes has already been established – first by a Virginia-based jury after a lengthy trial, and then in a plea agreement with the special counsel. Less than two years after guiding Trump to the Republican nomination, Manafort found himself in a jail cell – where he remains as he awaits sentencing in both cases. Manafort has been a staple of Republican politics for decades. He earned his reputation as a convention manager during the 1976 contested Republican convention, helping to whip delegates to secure a convention nomination for Gerald Ford. He would go on to work for former presidents George H. W Bush and Ronald Reagan and for Bob Dole. Alongside political operative Roger Stone, Manafort helped to form Black, Manafort and Stone, a political consulting agency, in the 80s. His lobbying work continued up through his involvement with the Trump campaign. Manafort joined the campaign in March 2016, first as a convention manager, before being promoted to campaign chairmen in May. He departed the campaign mid-August after reports ran in the New York Times and AP which alleged that Manafort had been lobbying in Ukraine without registering his work as a foreign agent. Manafort faced charges in two separate federal courts on a slew of financial crime charges related largely to his lobbying work in Ukraine. 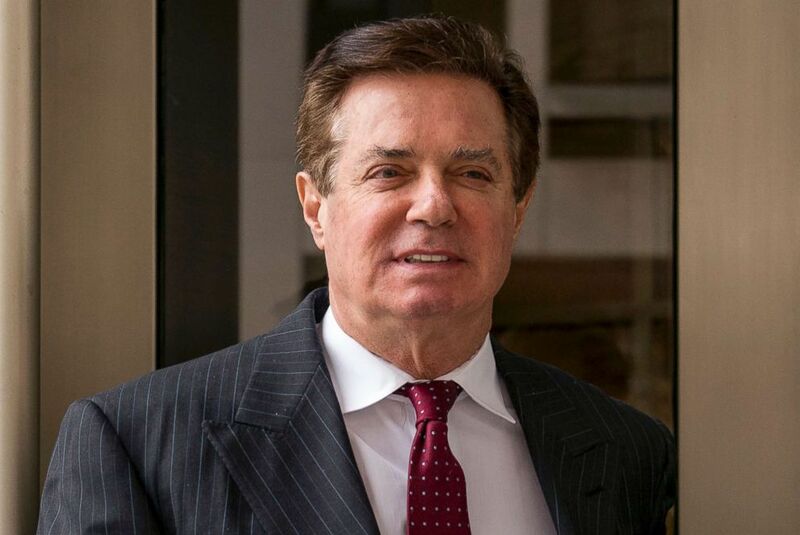 A jury found Manafort guilty on eight of 18 counts he was tried with in the Eastern District of Virginia, with the judge declaring a mistrial on the other ten. The guilty charges included multiple counts of false income tax returns, failure to file reports of foreign bank accounts, and bank fraud. Manafort was charged with an additional seven counts in the District of Columbia, and pleaded guilty to conspiracy against the United States and to witness tampering in the D.C. case. As part of the plea agreement, Manafort also admitted his guilt on the remaining counts in his Virginia trial. (Andrew Harnik/AP, FILE) Paul Manafort, President Donald Trump's former campaign chairman, leaves the federal courthouse in Washington, D.C., April 4, 2018. Manafort’s crimes center around his financial misdealings. Allegations against him include money laundering, tax evasion and bank fraud. In D.C. Manafort was also charged with failure to register as a foreign agent and for making false statements about his foreign lobbying work. These charges, which he avoided by accepting a plea deal, center around lobbying work that Manafort was doing for the since-toppled Ukranian President Viktor Yanukovych since 2006. It has been revealed recently in court filings that Manafort continued this work even while serving on President Trump’s campaign team. Manafort has been behind bars since June, after the judge in his D.C. case revoked his bail amid charges of witness tampering. Sentencing dates in both courts have been set and delayed after the Office of Special Counsel alleged that Manafort breached his plea agreement by lying to FBI agents as part of his cooperation. Manafort’s defense team has contested these claims. The judge in Manafort’s D.C. case ruled that Manafort had breached his plea agreement, and the special counsel's office filed a sentencing memo for Manafort in Virginia.